> Everyone who knows me knows my dog Britta, the Cavalier King Charles Spaniel that has shared my life since October 1993. She is an old ladydog now, she is getting stiff and her pace is very slow. Since she is deaf and blind sniffing and smelling is her biggest thrill. Our daily walk to Saskia’s petpalace(where they feed her a treat) takes us about thirty minutes where as it would take 7 minutes. One of the many things I love about having a dog is to just stand still and stare anywhere I wish. 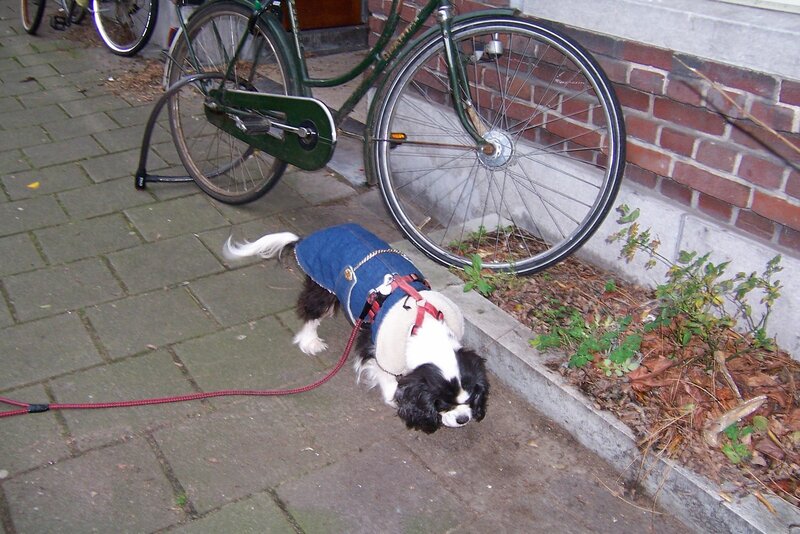 Idleness with a purpose: my dog is sniffing out the pavement, a lamppost, a leaf or the wall. I feel so blessed that she still is in my company.